The basic operation of the game is using "↑、↓、←、→"and "space" in keyboard. 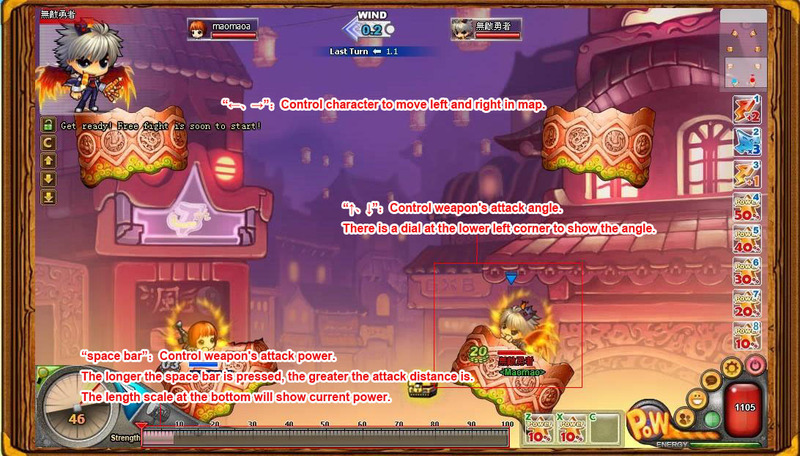 "←、→"：Control character to move left and right in map. "↑、↓"：Control weapon's attack angle. There is a dial at the lower left corner to show the angle. "space bar"：Control weapon's attack power. The longer the space bar is pressed, the greater the attack distance is. The length scale at the bottom will show current power.